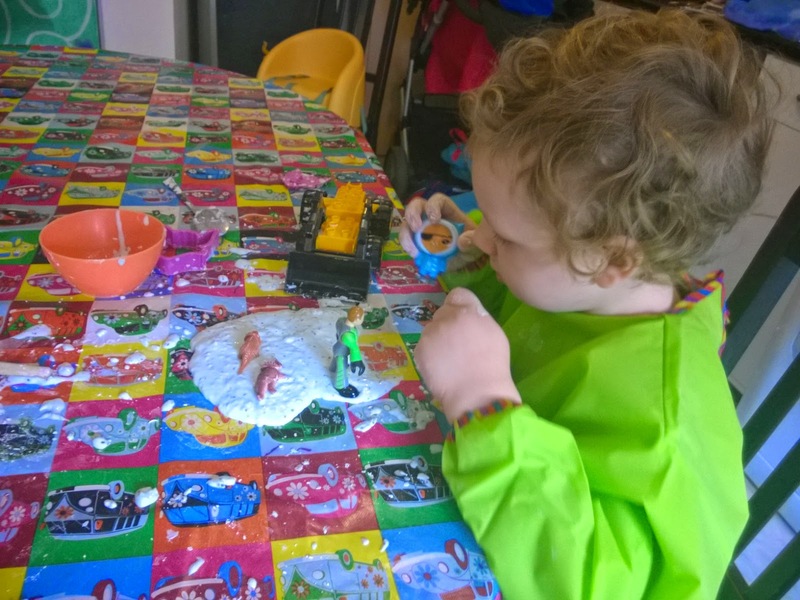 There are many things we love in this house - science, getting mucky, having fun - but 'freebie' is also firmly on that list. 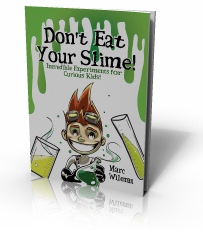 This week we have been playing with a lovely freebie, a free download of the fantastic book 'Don't Eat Your Slime' by Marc Wileman. This book is a lot of fun, and a great starting point for anyone who wants to incorporate science play into their repertoire of activities. Each simple activity comes with easy to follow instructions and a child-friendly explanation of the some of the science principles involved. 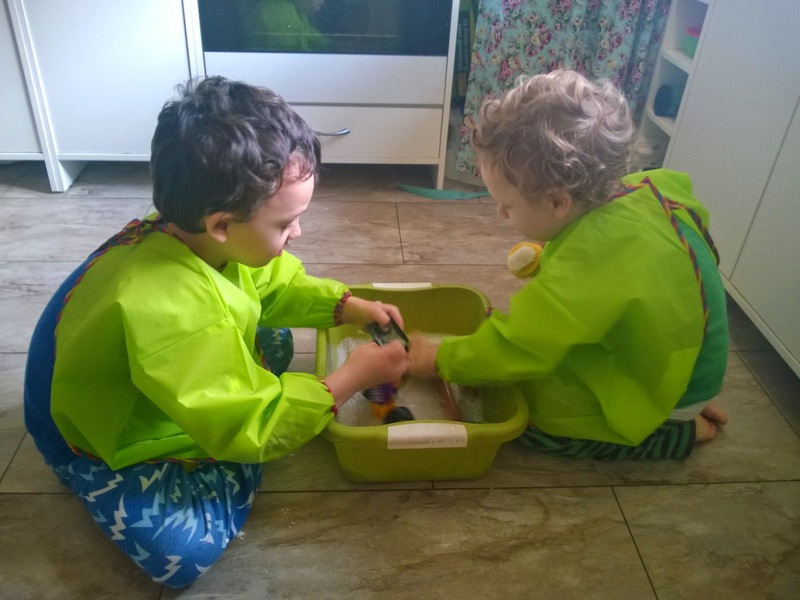 Making slime is the first activity in the book, and as it is one we haven't done in a long time it was a good place to start. 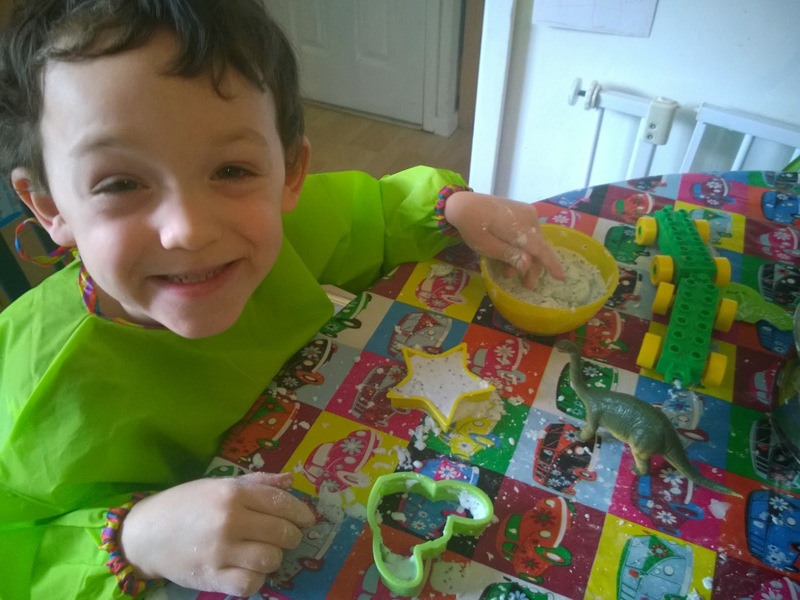 Corn flour slime is a lovely example of a non-Newtonian fluid. If you leave it alone it will trickle gelatinously from your fingers, but when you apply shear or tensile stresses to it (i.e. move it around) it starts to behave more like a solid than a liquid. This has the pleasing effect that you can grab it out of a bowl, then let it ooze gently away. 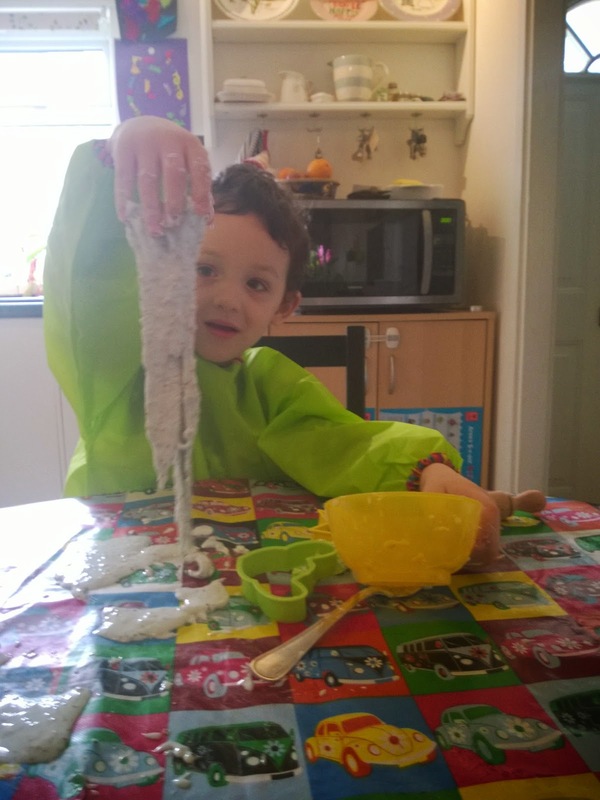 There are other ways to make slime - including using PVA glue mixed with borax - but we keep coming back to the cornflour because it is non toxic, doesn't irritate the skin and won't matter if the kids eat some. I made our slime up as shown in the book, and also added some mint essence for added sensory fun. The book gives a basic recipe for each activity but also gives suggestions for how to play around with the materials used to make your own discoveries, for example in 'Make your own flute', after showing how to make a reed from a drinking straw and explaining the principles involved, there is an 'experiment like a real scientist' section with ideas for finding out what happens to the sound if you use shorter or longer straws, fatter or thinner ones, or even just blow harder. Science is all about experimentation and observation, but school science lessons can be so prescriptive with regards to 'add A to B and observe C' due to time constraints that what we call experiments actually aren't - they are no more experimental than following a cake recipe. 'Experiment' can mean trying to replicate someone else's results, but in it's purest form an experiment is just trying things out - literally experimenting with things. This book is a great way to remind ourselves that yes we can follow the instructions, but we are prompted to also experiment with each experiment. The shortage of scientists in our country today is largely because we somehow manage to teach kids that science is hard and boring, so we need resources like this to introduce kids at an early age to what they instinctively know as tiny children - science is really fun. So if you're looking for a way to entertain your kids, or even fancy having a go at the classic 'mints in soda' reaction yourself, click on the link here to go to the page for a free download. If you like what you see you could even ask Marc to send one of his trained mad scientists from his company Sublime Science along to entertain the kids for you.